A couple of discussions stuck with me. One was about planning for Rich Problems. Planning is tricky and varies depending on the set up in the school. In my last placement I experienced a well-organized PLC program, a detailed curriculum plan, and a calendar! 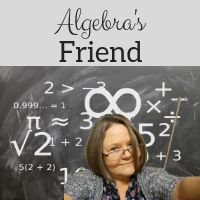 The calendar was the more difficult piece to adjust to ... the 5, 6, or 7 teachers teaching algebra 2 were expected to test on the same day. At first I found this annoying - I wanted more freedom! But in the end I learned that it was a blessing. I explained the calendar to students and parents. Admittedly sometimes it was hectic and I felt like we could use more time to delve deeper or practice more. But the calendar enabled me to hold students to high expectations and insist on their participation in their own learning. Our PLC planned a unit at a time. We started with the assessment, then the activities, and mapped out the lessons. We had options so that teachers on the team could vary activities based on the needs of their students and their own teaching preferences. As I looked at the whole unit, I looked for ways to infuse critical thinking ... through a "rich problem" or through the strategies we used in class. And that leads me to this thought expressed last night ... sometimes we add "richness" to the work in class, not by a specific problem, but by the strategies we use. Last night others mentioned using error analysis as a way to add richness. So what strategies add "richness" to the work in class? "I do, we do, you do" quite possibly stifles the richness opportunities and trains students to expect you to guide their every move. It slows down the training of perseverance! At least that has been my experience. Obviously we have to give notes, demonstrate procedures some of the time. Desmos Activity Builders - especially when designed well. 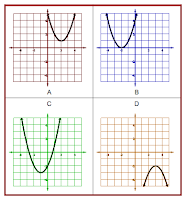 Check out Meyer's post on Desmos building guide! Card sorts ... as students work through cards they have to analyze the details given to make matches. The conversations are often rich around those details. 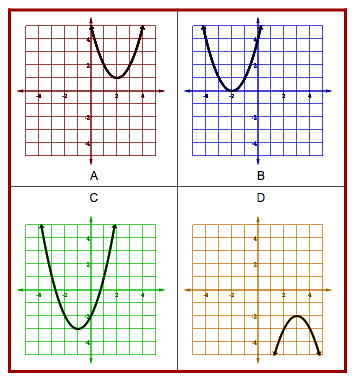 WODB ... the analysis challenges students to look for similarities, differences, comparisons, and to find as many different varied responses as possible. Error Analysis Tasks ... these can vary from "Find the Mistakes" Gallery Walk, to stations or even having students work problems incorrectly to swap with a partner. Becoming aware of common errors in math helps students to think more deeply about procedures. Asking students to create Two Truths and a Lie questions ... swapping with partners, posting online, creating a collaborative slide show are ways to implement the activity. I mentioned other strategies in a previous post and questioning strategies as well. How do you build "richness" into the ordinary lessons? What strategies have you found to promote deep thinking?